From American Creative Endeavors, Inc, McKenzie ND. 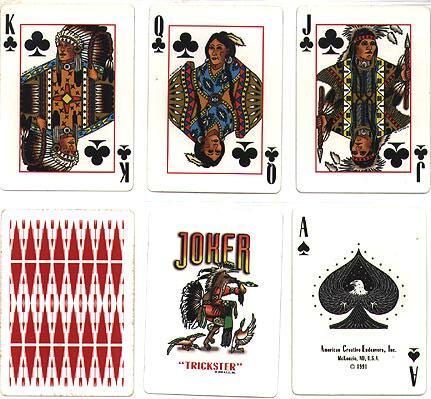 A nice deck of cards. 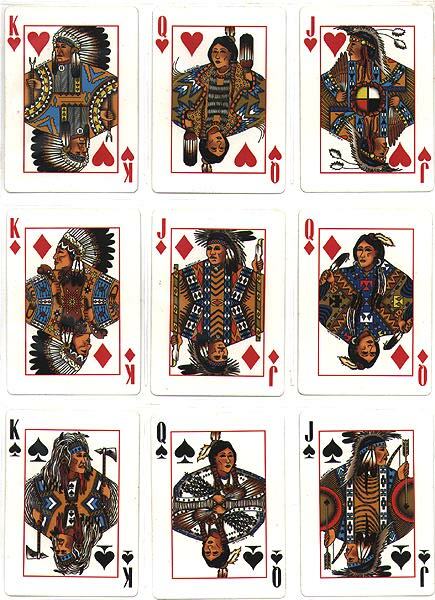 Theoretically, the artists plan to do more decks with reasonable representations of other American Indian tribes on the face cards. At least, I hope so.